Brandon GREW UP IN VANCOUVER, WASHINGTON. Brandon has been in the Merchant Services Industry for over 15 years. He has successfully built two processing companies from the ground up. Riverside Payments was founded in 2014 and has skyrocketed to National Prominence in a short amount of time under his leadership. As Riverside continues to grow Brandon found a unique opportunity in the Digital Marketing space. His latest venture has paired his knowledge of Client Satisfaction and Sales with the best Digital Marketing team in the country. Flyright Creative opened for business in 2018 and is primed to help business owners Nationwide to grow their business and brand online. Brandon is very active in the community and sits on the Board of the Oregon and Southwest Washington Chapter of Susan G. Komen. He has also partnered Riverside Payments with Dollar For Portland, a charitable organization that helps Portland ORegon families with overwhelming medical bills. While Brandon has been able to achieve a great deal professionally, he takes the most pride in being a good husband and father. His wife Lana and four children are his top priority. He doubles as a youth hockey coach for one of their children and is actively engaged in their three girls dance, music and sporting events. His wife Lana is no stranger to building a business. At lipsense, She leads one of the most successful teams in the country. Brandon looks forward to watching his business and family continue to grow. Jason Reese was born in Clackamas, Oregon. Starting at the age of three he began playing ice hockey, though Jason didn’t just play. His family quickly found out they had a young prodigy in the family. By the time he was fourteen he joined the Tri City Junior Americans, a semi-professional hockey team in the state of Washington. After dangling and destroying players at an intense level, Jason was drafted by the WHL’s Vancouver Giants at the age of fifteen, thus beginning his career as a professional hockey player. In a career that saw him drafted in the 1st round by Tampa Bay Lighting and playing in three different countries over 8 years, he was able learn valuable lessons as a hockey player. He also learned a great deal about life, as he continues to draw from the lessons from those experiences. At the age of twenty-three he made the decision to settle down and raise a family, ending his professional hockey career. His longtime friend and fellow hockey player, Brandon Skinner, introduced Jason to Merchant Services. With similar sales techniques, values and visions for the future, they decided to go into business together and Riverside Payments was born. Fun Facts about Jason: Jason plans to use the many connections he has made during his travels to build a strong sales force throughout the country that supports the mission of Riverside Payments. Jeremy Shroyer was born in beautiful Portland, Oregon, thanks to his father who had gotten lost on the way to the hospital! When Jeremy’s job as the Sales and Marketing Director for a retirement community became less about helping people and more about corporate policy, he knew it was time for a change. His friend, Brandon Skinner, introduced him to Merchant Services. Jeremy worked with Brandon for two years. When Brandon decided to found Riverside, Jeremy became the first official employee of the company and has seen it grow from those three guys in a garage to the prospering company it now is. Jeremy is both humbled and grateful to be a part of something so special as Riverside, which continues to grow ever so rapidly around the country. Jeremy quickly advanced from National Sales Manager to VP of Sales where his role is to track sales metrics and oversee the District and National Sales Managers. Jeremy has never met anyone who didn't quickly refer to him as a dear friend. His unique ability to network, mentor and close sales makes him truly irreplaceable in his role as Vice President. He is known for his positive mindset, ability to mentor and lift others to new heights and especially for his ability to mediate and resolve the many issues that come up while sustaining growth of more than 1000% every year. Fun Facts about Jeremy: Jeremy considers himself a movie-buff and particularly enjoys the marel franchise. He loves personal development and is always ready with the best “dad jokes” anyone has ever heard. Dan Riddle was born and raised in the beautiful city of Wenatchee, Washington. He moved to the Portland-Metro area in 2010. At Riverside Dan started as an Account Executive. After winning top rep for months on end he was promoted first to Territory Manager and finally to National Sales Manager. Dan believes in putting the Client at the heart of everything he does. He is both mentor and closer to Account Executives out in the field. Dan brings leadership and motivation to his role and you can always find him giving out free advice to anyone willing to lend an ear. Prior to finding his calling in Merchant Services, Dan was a personal trainer and car salesman. He also worked construction and even worked as a longshoreman in Alaska. He is no stranger to hard work. He was drawn to Riverside after being introduced by a friend to Brandon Skinner. He immediately saw the incredible opportunity to bring his unique work ethic to a company that would reward it. Fun Facts about Dan: Dan doesn’t really have hidden talent; he just plain has talent. He is semi-pro at pretty much every contact sport including football and hockey. Dan never shies away from competition and is humble in both victory and defeat. The classic underdog also enjoys training his pitbulls for weight-pulling competitions and has competed on the National level many times. Kiel Leighton hails from the bay area in Santa Rosa, California. He moved to Vancouver, Washington, when he was nine years old. Kiel is the Tech Support Manager and handles everything from POS setups to installs and is the go-to guy for any tech related issues. Kiel brings a wealth of experience to the table and was previously employed as a Tech Manager for seven years at another Merchant Services company. Kiel worked with Brandon Skinner at his former company for six years. After Brandon got Riverside off the ground his old friends were not far from his heart and he persuaded Kiel to bring is expertise and knowledge to the team, drawing on their friendship of more than fifteen years. Kiel not only brings incredible personality and humor to the office but his inside-out knowledge of the industry is valued by co-workers and clients alike. Fun Facts about Kiel: In Kiel’s spare time he enjoys playing hockey and draws from his competitive ice skating experience to carve up defenses in the house hockey leagues. Kiel also enjoys brewing incredible craft beers that are enjoyed by friends and family alike. Samantha West, known to her friends as Sam, was born and raised in Vancouver, Washington. Sam’s official title at Riverside Payments is Accounting Extraordinaire and she embodies the very essence of that title. She is in charge of all Riverside’s financials, payroll, HR management and government entity reporting. Sam is the literal do-it-all employee of Riverside Payments and ensures all the hard work we do making Riverside look good on the front end, works on the back-end as well. She is a critical member to the Riverside team and can usually be found handling any number of challenges from behind her dual-screened computer setup. Before Riverside, Sam was a General Manager for eleven years at a commercial maintenance company. During this time she returned to school and earned her Bachelor's in Accounting. She quickly put her degree to use and was offered and took a position with Robinson Brothers Construction. She worked as their staff accountant for one year. Around her year mark she was turned on to Riverside by a friend. She came in, spoke with Brandon and Jason and was recruited to Riverside. She realized that the opportunity to get on with a quickly growing company was too good to pass up. Since joining the team she has navigated the financials of the company through more than 2000% growth and a payroll that went from about twenty people to more than 150. She looks forward to the day when she can have an assistant, but until then we are fully confident in her ability to make time for whatever else comes her way. Fun Facts about Samantha: Samantha was an on air DJ for Portland’s Z100 FM radio station for a year and was known as Psycho Sam after walking through the door and insisting she would make a better on-air personality then their current morning show lineup . She is a huge advocate of St. John's Wort and believes in the spiritual impact of the spoken word. Her attention to detail and deep need to ensure her process is followed to a “T”, ensures Riverside can continue its growth regardless of the challenges that it faces. Amie Sanders is originally from the Northwest, born in Portland, Oregon. Amie began her professional career by entering school to be an EMT until she discovered her propensity as an elite sales woman. She began her career in sales working for more than a decade as a sales rep and manager for major cell phone providers. She was quickly identified as a force, consistently earning top sales honors throughout her tenure. Within a few months time, Amie went from Account Executive, to District Manager to National Sales Manager. As National Sales Manager, she works with a team of Account Executives to help support their success in the field, provide ongoing training, offer creative input for company growth and implement procedures and protocols. She has also been instrumental in the recruiting and acquisition of many of RIverside’s management team, helping shape Riverside in to the multi-million dollar company it is today. Fun Facts about Amie: When asked about having any hobbies, Amie said she loves to shop and do crafts with her children. Most of all she loves to travel, when the time allows. Nick Clay was born in Portland, Oregon and resides in Vancouver. He first met Brandon and Jason when he was about seven. From the age of four he enjoyed playing hockey. Even after aging out of Junior B hockey in Beaverton, Nick became an official working a lot of Junior Hockey games and earning an invitation to officiate two WHL preseason games. Before Riverside, Nick held a position as merchandiser and account manager for Coca-Cola for nearly seven years. Longtime friends Brandon Skinner and Jason Reese approached him with an offer to work for them at Riverside Payments. Nick started out in the marketing department setting appointments and quickly moving into tech support where he now holds the title of Department Manager with Riverside. With his primary focus on Point of Sale Systems, Nick ensures that the tech team always offers the best possible service to meet client’s unique needs. Fun Facts about Nick: Outside of work Nick is involved in bowling, reffing hockey and playing softball. He is also an avid beard-grower. Brad Strode was born in the Great Northwest and raised in Vancouver, Washington. Brad is the Director of Talent Acquisition at Riverside Payments and is responsible for the identification and acquisition of Riverside’s highly talented Independent Agents. He spends his days helping to ensure Riverside’s reps are teed up for success when they get out in the sales field. He has built Riverside’s Sales Team from around sixty full-time agents to over one hundred and fifty. His mentorship and knowledge of the industry provide reps with the tools they need to be successful out in the field. Before coming to Riverside, Brad was an entrepreneur, owning a handful of different companies from coffee shops to tire shops. With a keen eye for opportunity Brad was drawn to Riverside by a close friend’s success and saw that if he applied his entrepreneurial spirit to this company, there truly would be no ceiling on the success he would be able to achieve. Brad has a unique skill-set that offers Riverside the ability to see situations through the eyes of a small business owner. Brad looks forward to the ever-growing opportunities as Riverside as it continues its break-neck growth. Fun Facts about Brad: Mr. Strode is an avid golfer. With an “easy back easy through swing”, he manages to destroy his colleagues in every golf game they've ever played. Brad also is one of the most fashionable Riverside employees. In cold weather he can usually be seen classing the place up with hand-knit and customized scarves. Adam Harden was born in Texas before growing up in Tacoma, Washington. He has quickly climbed the corporate ladder of success here at Riverside Payments. Before Riverside, Adam held the position of Department Manager at Fred Meyer for nine years—working every holiday, every weekend and every Black Friday with little quality time to spend with loved ones. Shortly after his move to Riverside, Adam realized a vast difference in working for a company that was holding him back versus one that fosters growth opportunities, allows for rapid advancement, rewards its people with well-earned promotions and provides the means to create a viable living. As one of the first new hires from the inception of Riverside in 2014, Adam quickly moved into his current role as National Sales Manager where he manages a team of reps across the country, inspiring them to dream bigger, and set goals that push them past comfort zones to realize their full potential both personally and professionally. Fun Facts about Adam: Adam really enjoys cooking, watching movies and knows a lot of random trivia. He says he would made a great lifeline. Mike Judd was born right here in Vancouver, Washington, where he has resided all thirty-two years of his life. As Director of Corporate Training his main priority is to assist the new Account Executives gain the knowledge and skills so that when they are out in the field, they can be successful and grow with Riverside. He also develops training guides and assists in the Marketing Department, helping Inside Sales. Prior to coming aboard the Riverside team, Mike worked as a Zamboni driver for five years and managed an automotive shop. He has known Brandon Skinner since he was seventeen years old and worked with him at Brandon’s previous company. He states that Brandon recruited him to Riverside Payments but that Jeff Hill took the credit. Fun Facts about Mike: Mike has been with his significant other, Amber, for the last thirteen and a half years. They have two beautiful girls. Mike considers himself a movie buff, preferably watching action, thrillers and comedies. In his spare time he enjoys tinkering around in his garage and working on cars. Mikey’s favorite color is blue. Amii Grace was born in Billings, Montana. She moved to California in 1992 and grew up between California and Washington, before permanently residing in Washington in 2007. Before Riverside, Amii worked in the retail industry; managing several stores and enjoying face-to-face interactions with customers and staff. However, she was left wanting a job that afforded stability. That’s when a couple of friends introduced her to Riverside. Amii immediately demonstrated a strong work ethic and leadership qualities that quickly moved her up the ranks into a management position, where she has proven she is invaluable. Amii has been instrumental in growing and training Riverside’s client success team, establishing protocols, and streamlining processes. On any given day Amii might be helping account executives with client solutions, analyzing rates for our customers, organizing and supervising the customer service team, implementing quality assurance and resolving client related challenges to successful outcomes. 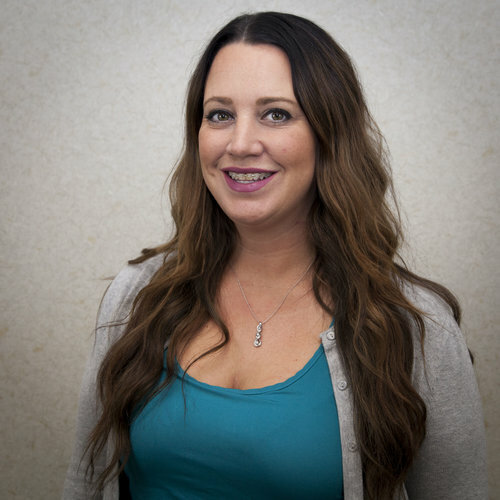 Fun Facts about Amii: When not at work, Amii enjoys spending time with her son and playing the guitar.